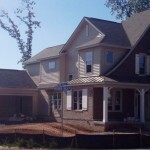 Heather and I have had the good fortune to build two homes from scratch. 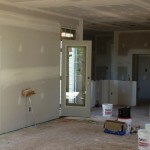 Not everyone has had that opportunity, so over the next several months I am detailing the process my clients, John and Pam, are going through during the construction of their new Miller & Smith home. This is Part 8 of that story, but you can catch up by reading Part 1, Part 2, Part 3, Part 4, Part 5, Part 6, and Part 7. 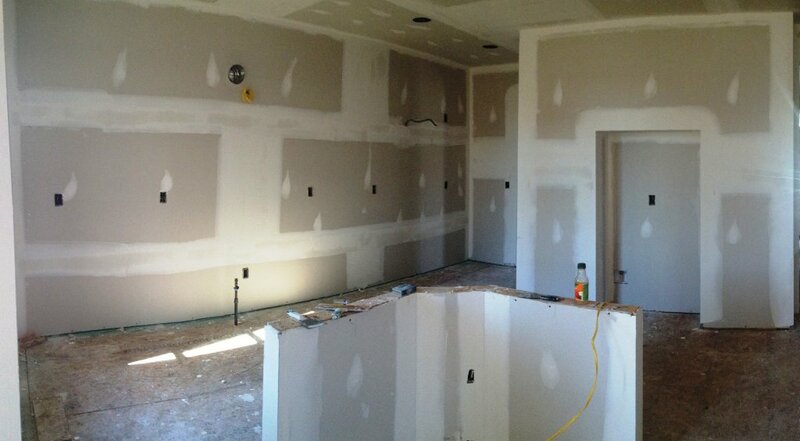 An exciting week at Pam & John’s new home as the drywall was hung and the interior is really taking shape. Althought this is the same floor plan as the model, it was reversed due to the placement on this particular lot. So far we have only been able to imagine the flow of the rooms, now we can actually see and feel it. 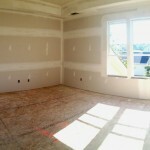 Pictured below are the master bedroom, master bathroom, and the view from the great room. We are about 60 days to closing, and from this point forward the week to week changes are not quite as dramatic. It’s time for the finish work to begin, check back next week for the latest news.